Sony Chemicals is a leading manufacturer of LCD touch screens displays for mobile phones, cameras and other devices. 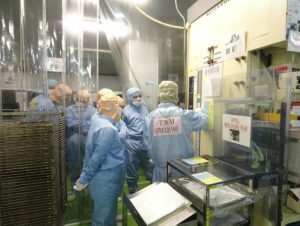 Sony has decades of experience in implementing process improvement through Kaizen while Sony Suzhou factory has a highly skilled and experienced lean experts team. The improvements made were mainly in points level, not in whole value streams or whole plant level. Sony Chemical recognised that there were wastes between processes. Sony Chemical were not satisfied in their manufacturing lead time, though 6.4 days already was an industry benchmark. 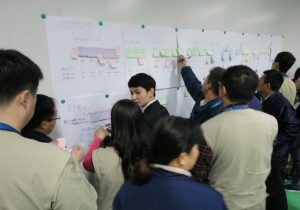 TXM Consulting Director, Justin Tao, was engaged by Sony to teach this team how to see the whole process using VSM (value stream mapping). The challenge for Justin was how to introduce Lean techniques to a Japanese company, while leveraging the considerable skills of the Sony Kaizen team, to drive the local changes. TXM started the project by a short training session, followed by data collection inorder to draw the current state VSM map, and to develop future state map. TXM helped Sony to develop a A3 plan to achieve the future state map followed by smaller A3 plans with process level Kaizens. 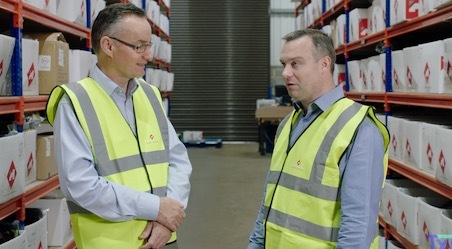 Through the A3 plan, Kaizens, monthly Gemba walks confidence grew as the team achieved progress step by step. Under Justin’s coaching and by involving senior managers, coordinators as well as operators Sony’s team took challenges to achieve targets. Cross-functional team worked to support the activities. The activities were conducted in three value stream groups: top plate group, ACF group and TP group. These improvements were demonstrated in graphs. Working with TXM, Sony Chemicals achieved breakthrough improvements in their performance and problem solving ability among the team. The improvements were not only limited to the material flow from raw material to finished goods, but also to the information flow from order to delivery. This Sony successful story was developed as a case study of “Learning to See” Chinese version 2013, and “Lean in China II”.